Having the Thanksgiving week off from work and owing to a need for unadulterated "down time", I decided to take the short drive from Maryland to the Fredericksburg National Battlefield Park in Virginia. The drive took a little longer than expected, though I should know better, due to various traffic choke points on Interstate 95 south. I arrived in Fredericksburg around noon on Monday and immediately started my investigation. 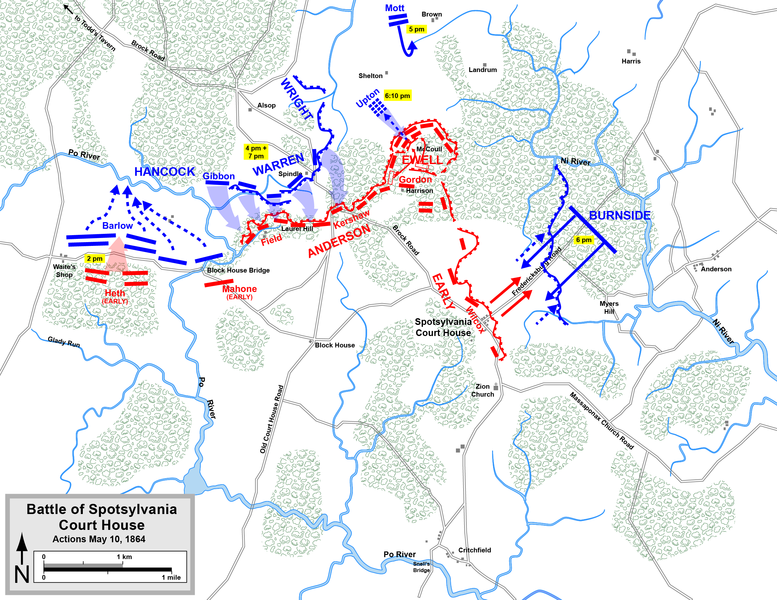 I was primarily interested in the Spotsylvania Court House (CH) and Wilderness battlefields, which are part of the larger Fredericksburg National Battlefield Park. 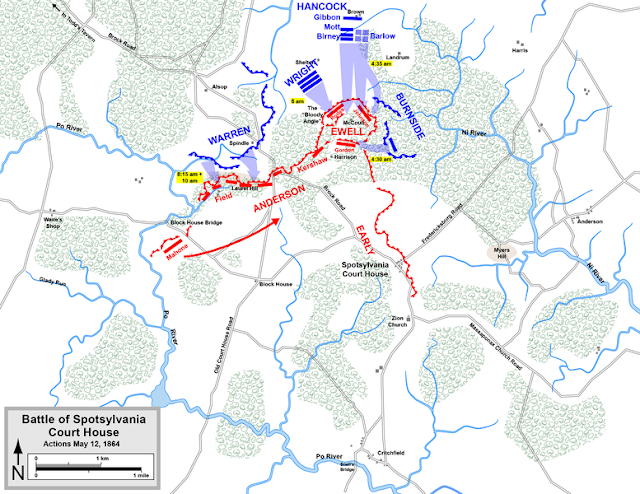 Included in that park are the aforementioned battlefields plus the Chancellorsville battlefield. 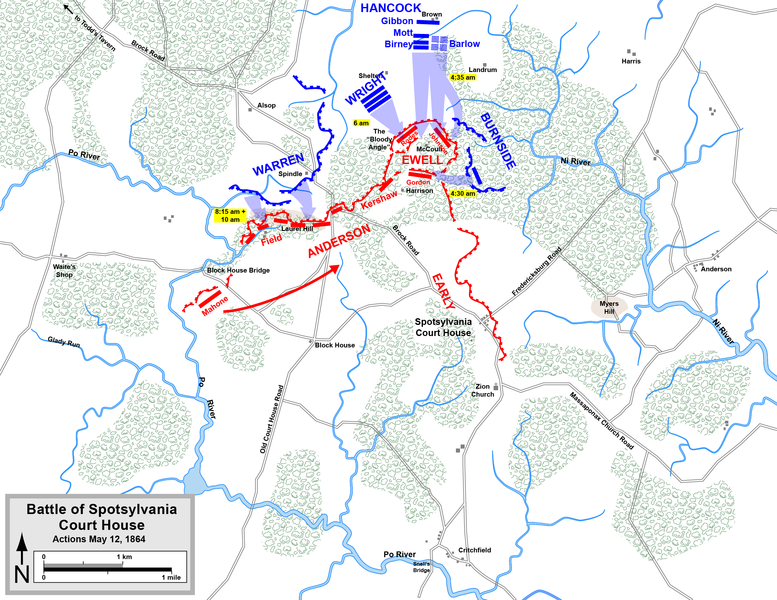 All of these battlefields are within 20-30 minutes of the main headquarters in Fredericksburg. There is a visitor's center in Fredericksburg and at the Chancellorsville battlefield, but none at the Spotsylvania CH or Wilderness battlefields. 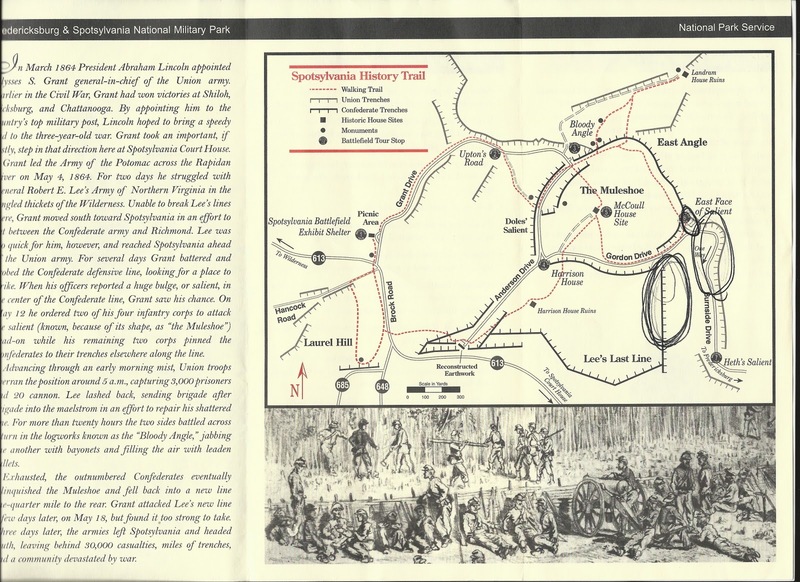 Instead, those sites have self guided tours with appropriate markers and maps to help the Civil War enthusiast in their researching and touring activities. Fortunately for me, I stopped in Fredericksburg first and spent some time with the Park Ranger on duty, Steward Henderson, who provided invaluable information and insight into the battles and their impact on the war. Additionally, he was able to help in locating exact positions of the 48th PVI during the timeline of battle which supported me in my research. I highly recommend that if you ever visit these battlefields, you should spend some time with these knowledgeable, friendly and enthusiastic Rangers. 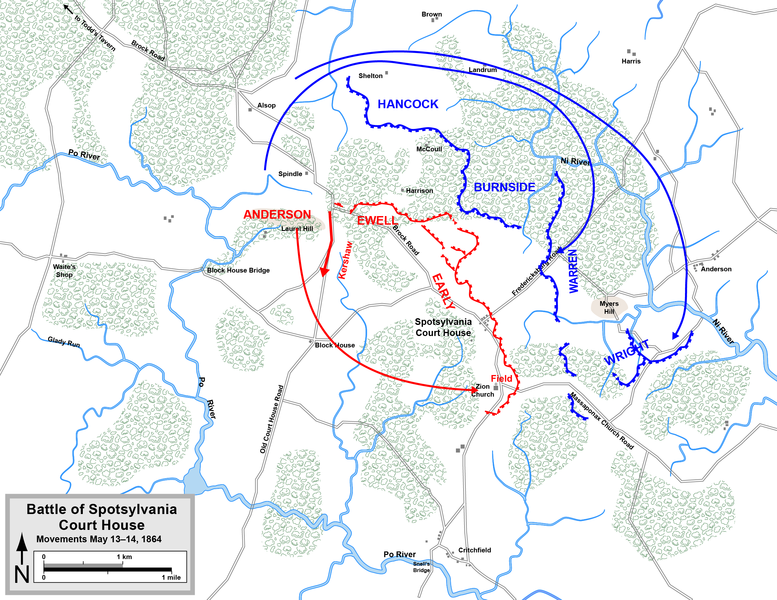 Without Ranger Henderson's help, I would never have been able to pinpoint exactly (within a few hundred yards), the location of JWD during the progression of the battles. For that, I thank him. As part of this research project, I have decided to try to visit each location from which the letters were written. My first attempt in August to visit Fort Monroe and Forts Clarke and Hatteras, were thwarted by Hurricane Irene which made the trip south of the Oregon Inlet on Hatteras island impossible. The trip to Fort Monroe, had to be delayed due to power outages, etc... Fortunately, I have been close to Forts Clarke and Hatteras (not really accessible as the road ends a significant distance from where the forts were located and the shifting sands make finding them impossible), on previous trips and have some knowledge of their general locations. So...even though the Spotsylvania CH and Wilderness battles did not happen until 1864 (with regard to the 48th PVI participation), I decided to make the trip anyway. I am glad that I did. 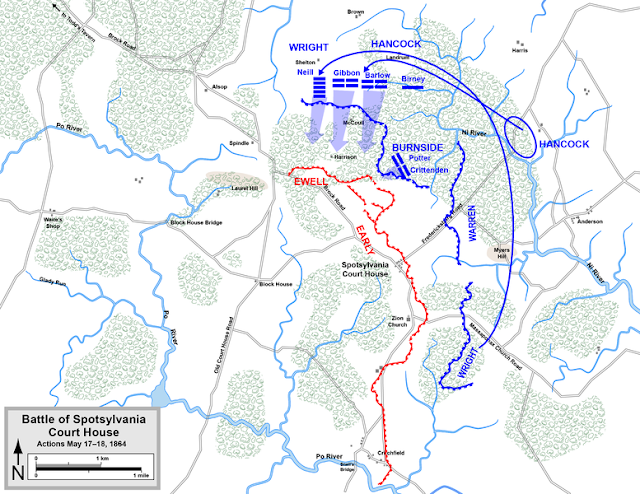 The battle of Spotsylvania CH encompassed a 12 day period from May 7th, 1864 and the race to Spotsylvania CH by Union and Confederate forces to May 19th, 1864 with the battle at Harris Farm. I'm not going to go into the details of the battle as there are many accounts available by better historian than I, but I will focus in on the role JWD played in the battle. JWD was part of General Ambrose Burnsides IX Corp and his regiment was organized under Brigadier General Robert B. Potter. 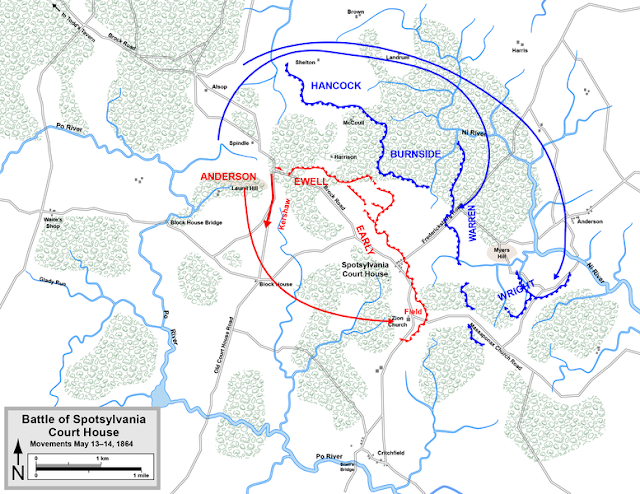 The 48th PVI was part of the assault on Confederate General Ambrose Ewell's salient known a the "Muleshoe". Images below give you a feel for why this bulge in the Confederate lines was called the "Muleshoe". The 48th PVI was part of the attack on the eastern front of the salient and resulted in many unit casualties. 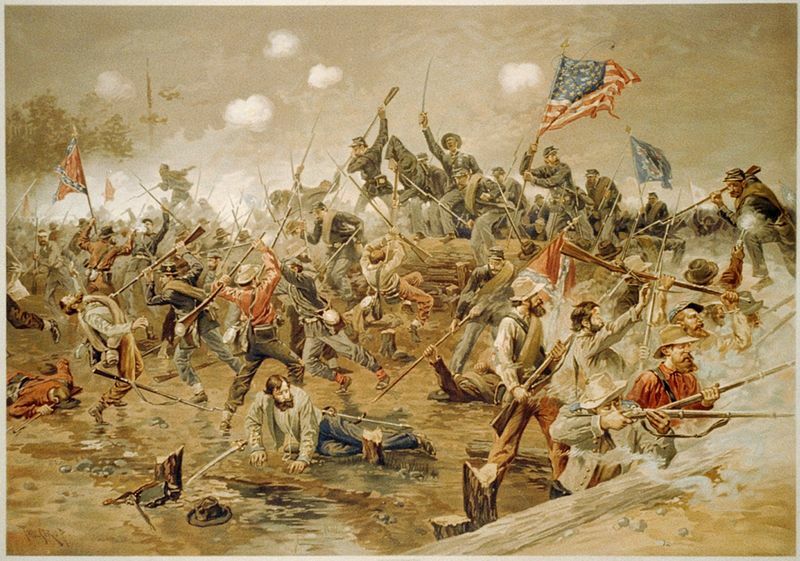 Grant's attack on Ewell began on May 10th and continued through the famous battle at the "Bloody Angle". The 48th PVI was part of this assault and as I have said...many men were lost. So...below is the map I used (annotated by Ranger Henderson) to find the locations of JWD's regiment during the course of the battle. I haven't done justice to the Wilderness Battlefield visit today...but I will in the future. Monday was a really special time for me to explore, research and LEARN. To be able to stand in the location of your ancestor and imagine what it must have been like in those terrible days. The day was overcast...the temperature was moderate....the park was virtually silent. It gave me time to reflect and appreciate what was done here 147 years ago in another time and in another world. It is quite humbling....and moving. I know I am jumping the gun here with publishing this...but I will do it again in 3 years...so what the heck!